You no longer need a CD player, stereo, or even a record player to enjoy your favorite tunes. 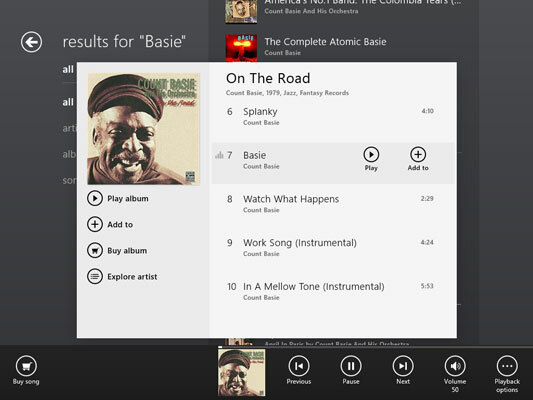 You can use the Xbox Music app in Windows 8.1 to play your CDs on your computer. 1Select the Music app on the Start screen. The Xbox Music app home screen appears. If you see music here, ignore it for the moment. (Or select a song to play it, skip to Step 4, and do the rest of the steps some other time.) You can display an album by selecting it on the Collection screen. If you see Can’t sign in, you’re not connected using a Microsoft Account. You’ll still be able to do the steps in this section. You need to sign in only to buy music. 2To search for music by title or artist, type the text for which you want to look in the Search box. As you type, suggested matches appear below the Search box. For now, ignore these suggestions (but take advantage of them in the future to save typing). Instead, select the magnifying glass or press Enter. Search results appear on the left. Select any search result for the next step. Selecting a suggested match may take you directly to Artist Details. Not a bad place to end up, but you can’t easily get from there to the next step without repeating Step 2. 3Scroll to the bottom of the Results screen to Songs and select a song. 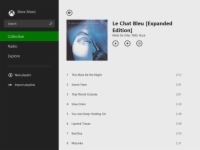 Play: Connects your computer to Xbox Music and plays the song. Notice the controls at the bottom of the screen for pausing the song and controlling the volume (right-click the screen if you don’t see these controls). Play Album: Plays the songs on the album, starting with song 1. Add To: Opens a pop-up menu with playlists you can add the song to a playlist. Buy Album: You must sign in to continue. An option to buy also appears if you select an individual song. Explorer Artist: Opens a biographical page with information about the artist. Click the back arrow to return to the Results screen. 4Check the volume level on your speakers. Tablets and laptops often have physical volume controls — look around the edges. To adjust volume levels using Windows 8.1, display the Settings panel. 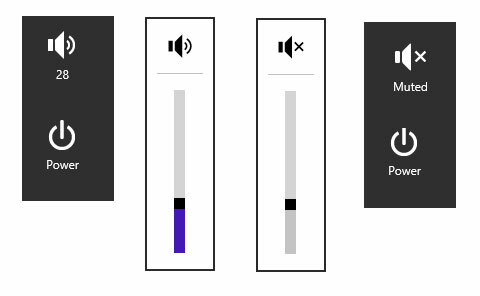 Select the speaker icon above the Power control. Slide the control up for more volume and down for less. Select the speaker icon to mute or unmute all sounds. Speakers should be unmuted but not so loud as to cause bleeding. Select anywhere in the Music app to dismiss the Settings panel. 5Display the app bar, if necessary. Buy Song: You are asked to sign in to your Microsoft account and confirm your purchase. You need an Xbox Music Pass to purchase songs. Previous: Go back one track. Pause or Play: Pause the track and the button changes to Play. Select Play to resume. There is no separate Stop button. You have to pause indefinitely or close the app. Next: Go forward one track. Volume: Drag the slider to control the volume. Playback Options: On the pop-up menu, choose Repeat to play the song again when it finishes playing; choose Shuffle to play album tracks randomly. Your keyboard may have similar controls. 6Switch back to the Start screen. The Music app continues to play. The Music tile displays the album art and title of the current song. 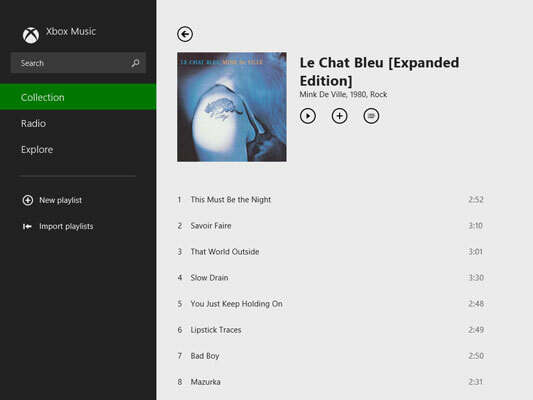 Select the Music tile to return to the app. You may be able to play music from your computer to another device, such as another computer, a Windows Phone, an Xbox, or a TV on your network. Display the charms bar and select Devices to see if any are available. Mouse: Move the mouse pointer to the top of the window. Click and drag down, and then release the mouse button. Touchscreen: Swipe down from the top edge until the app window shrinks. Lift your finger.